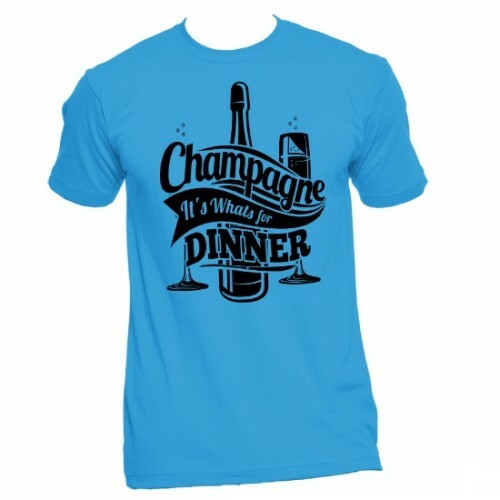 Champagne It's Whats For Dinner T-Shirt is direct to garment screen print, meaning the colors will stay throughout washes. 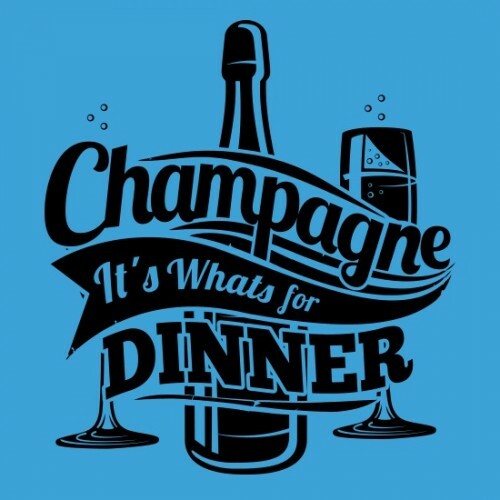 Printed on the American Apparel fine jersey t-shirt made from the the softest (100% preshrunk combed cotton) and is the best looking short sleeve T-Shirt anywhere! This superior garment features a durable rib neck, and best of all it's made right here in America.